As well as keeping a core of players from last season, who should make sure that everything clicks right away, Anadolu Efes Istanbul inked head coach Velimir Perasovic, who worked for the club in the past and took Laboral Kutxa Vitoria Gasteiz to the Final Four last season. DeShaun Thomas and Tyler Honeycutt are athletic, versatile forwards who give Coach Perasovic a lot of alternatives at both ends. Combo guard Bryce Cotton is a dynamic scoring option in his first Turkish Airlines EuroLeague season. Efes also found a solid presence in the paint by inking All-EuroCup center Alen Omic. The club also promoted local products Ogulcan Baykan, Samet Geyik and Berk Demir to its first roster. Coach Perasovic has a lot of options at point guard. Thomas Heurtel offers court sense, high basketball IQ and deep shooting range. Jayson Granger is a physical playmaker with great determination and intensity. Both players will split most of the playing time at point guard, with Dogus Balbay ready to provide defense and physical skills off the bench. Cotton is set to provide the fireworks at both guard spots and may surprise a lot of opponents with his instant offense. Floor runners Cedi Osman and Furkan Korkmaz are young yet experienced players ready to step up and be more important to the team's rotation. Honeycutt is one of the best defensive players in the league, able to amass steals, blocks and rebounds and to sink three-pointers to keep defenses honest. Derrick Brown will be Efes's main option at power forward. Brown is a natural-born mismatch due to his unique combination of deep shooting range, a quick first step and all-around scoring skills. Thomas will be playing time at both forwards spot, taking advantage of his footwork and efficient mid-range jumpers. Omic comes off a career-best season with Herbalife Gran Canaria Las Palmas, is a terrific rebounder and runs the floor really well for a player his size. He has a solid set of post moves, highlighted by a very effective jump hook. 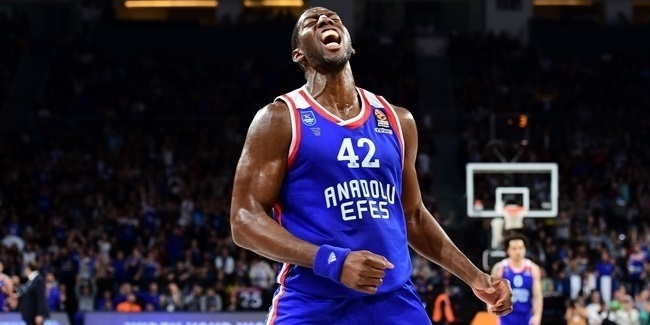 Bryant Dunston m a two-time EuroLeague Best Defender Trophy winner, guarantees aggressiveness and intensity, while also being dangerous on offense. Honeycutt can offer the occasional helping hand at power forward in smaller lineups, while youngsters Geyik and Demir will compete to show what they are capable of. 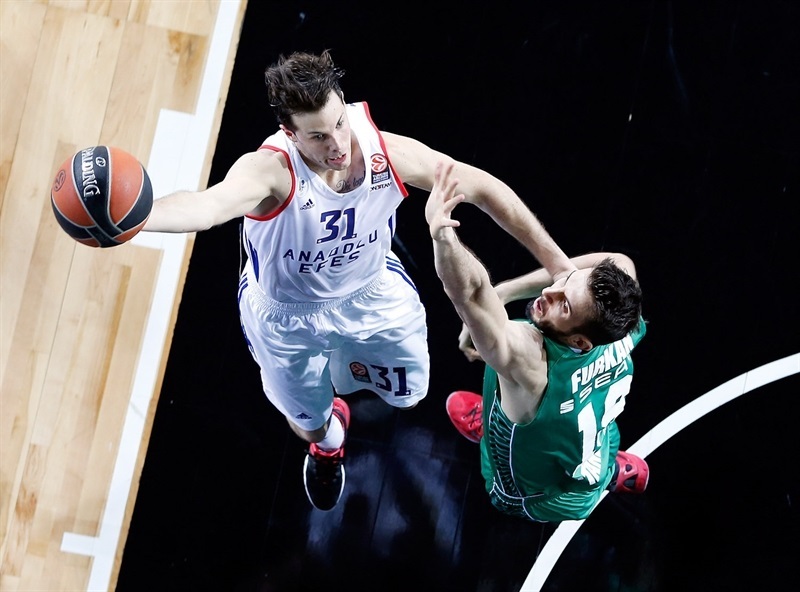 At age 27, playmaker Thomas Heurtel has become Efes's main reference right at the prime of his career. Heurtel averaged 12.7 points and a league-best 7.9 assists. 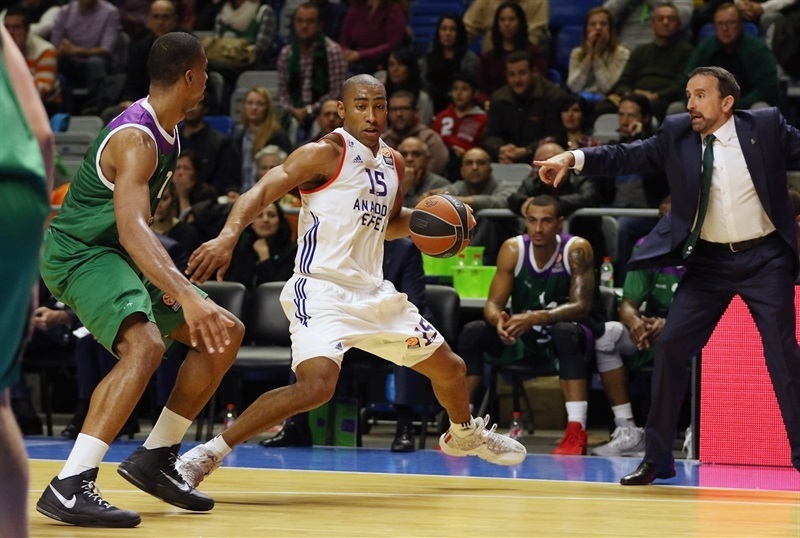 He broke EuroLeague records for total (190) and per-minute assists (11.6 per 40 minutes) in 24 games last season. He is also a very effective scorer, hitting 42.7% of his three-point shots and 80.3% of his free throw attempts. Cutting turnovers has to be a priority - he led the 2015-16 EuroLeague at 3.3 per game - but Heurtel keeps growing as a player, making better decisions and showing more character every year. A young veteran, Heurtel enters his seventh EuroLeague season with a coach who made the most out of his point guards in recent years. 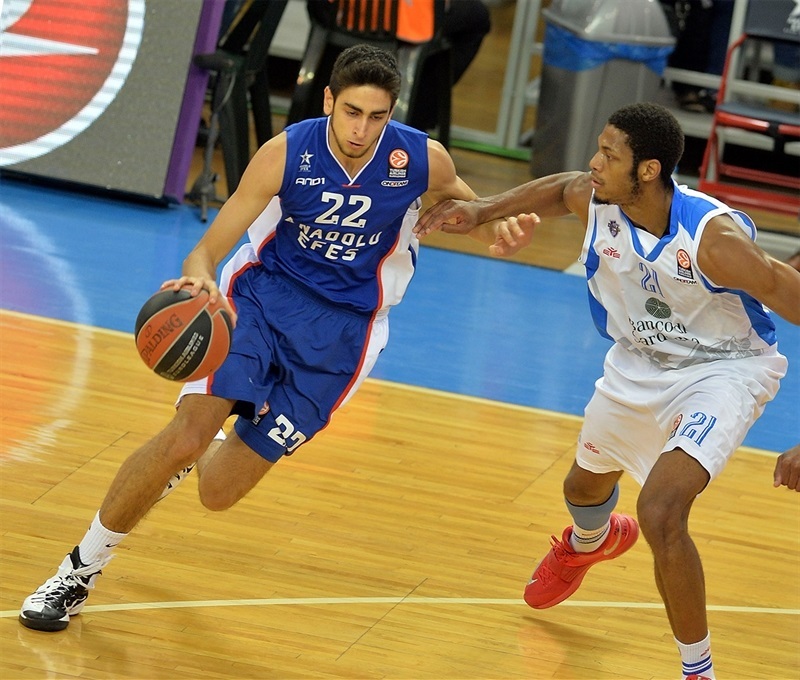 He will be one of the biggest keys for Efes in this new, exciting season. 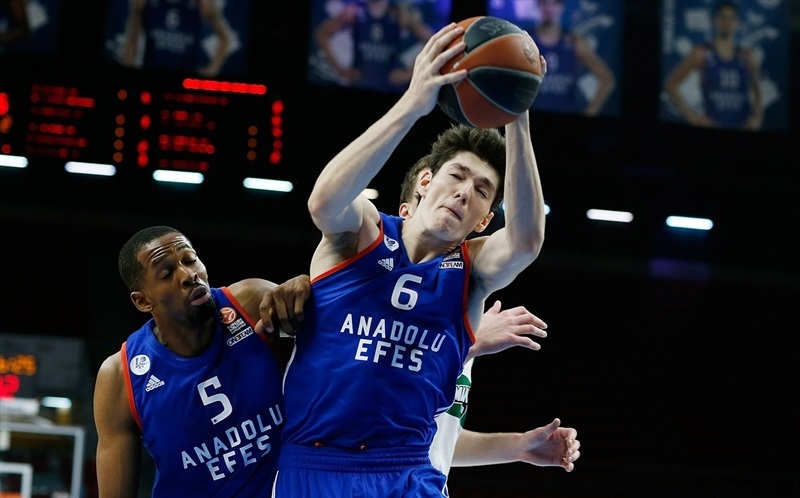 Efes starts the season with a nice mix of experienced players, up-and-coming stars and newcomers ready to prove their value. 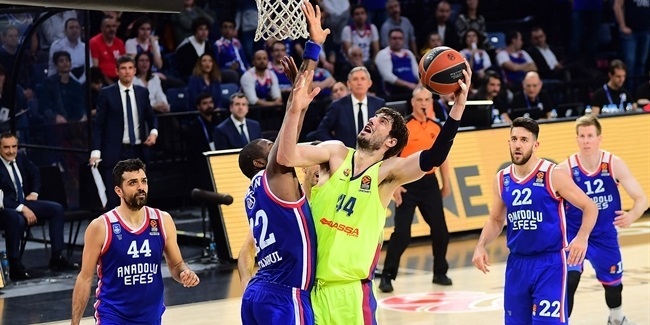 It will need to be ready right away, however, as it plays four of its first six games on the road while hosting CSKA Moscow and Panathinaikos Superfoods Athens. Perasovic will have a special start to the season as Efes visits Laboral in Round 1 on October 14. Having seven players returning from last season will definitely help the team be more consistent from the jump. 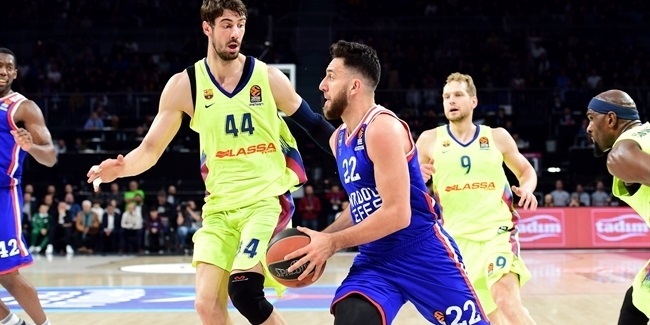 Efes will need to be really solid on the road before playing six of its last nine games in Istanbul, which could be decisive. 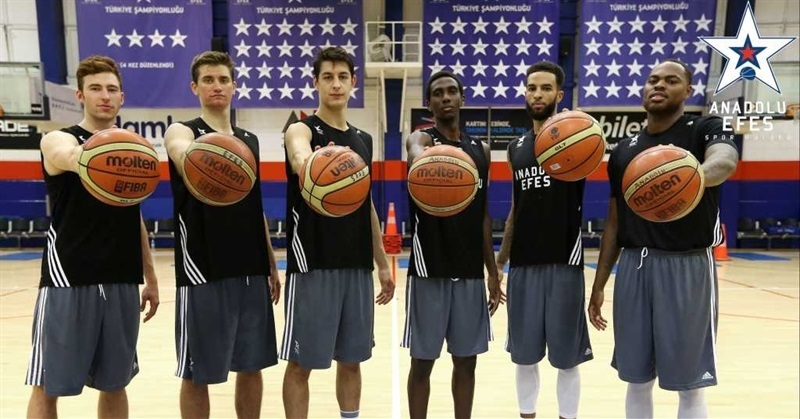 New faces for a new season at Anadolu Efes Istanbul.